Wherever you are, and whatever you need faster broadband for, our community fibre partnerships model brings fibre broadband to homes and businesses by building a customised solution to meet your needs. We can get you upgraded to superfast or ultrafast speeds. Whether you live in a rural location, a block of flats in a city centre, or you may represent a group of businesses in an industrial park that's suffering from slow internet speeds, we'll work with you to find a way to bring fast fibre broadband to your area. 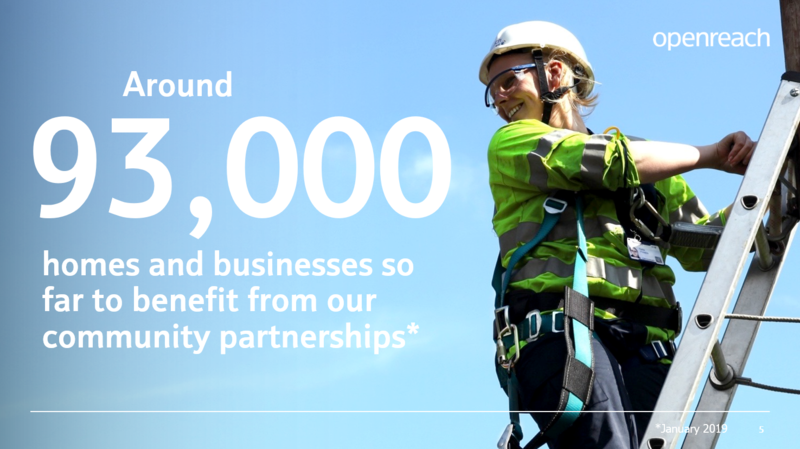 Where possible we bring together funding from Local Authorities, Government voucher schemes and other grants to help make things affordable - plus we contribute toward the cost in line with our own commercial model too. 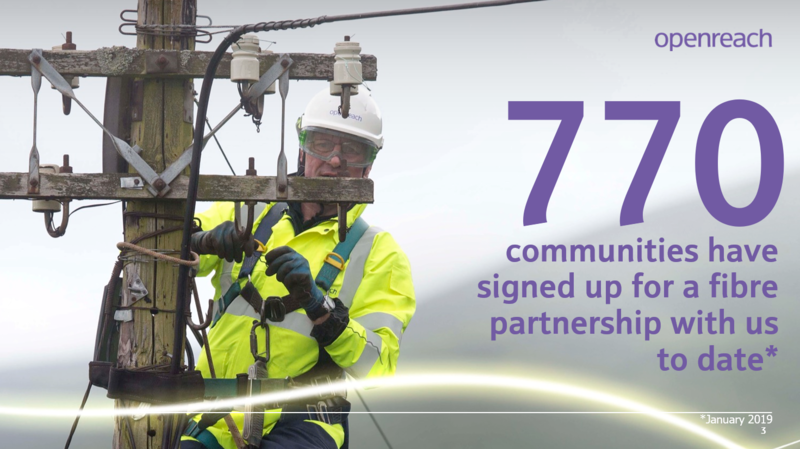 Thousands of people have already benefited from faster broadband after their communities have partnered with us for a community fibre partnership. Where do I start? Enter your landline or postcode in the section below. If the results indicate you're not part of current fibre plans - or if you have fibre but want to upgrade to Ultrafast - and would like to explore a co-funded fibre option with us, register your interest and we'll be in touch. I confirm that I represent an SME. Our team provides friendly management and support for you, and your community, through the journey to bringing fibre broadband to an area. The boxes on the left (or above if you're viewing on a mobile) depict the various stages. We'll talk with you to identify ways to help co-fund your fibre, and give you advice to make things go as smoothly as possible. Are you missing out by not having ultrafast broadband for your business? If that’s happening, you may not want to do anything as the infrastructure serving your home or business will be enabled in due course. However, you may be in an area that fibre-to-the-cabinet (FTTC) is being rolled out to, but you may prefer a fibre-to-the-premises (FTTP) connection all the way to your home or business. We can help with that. 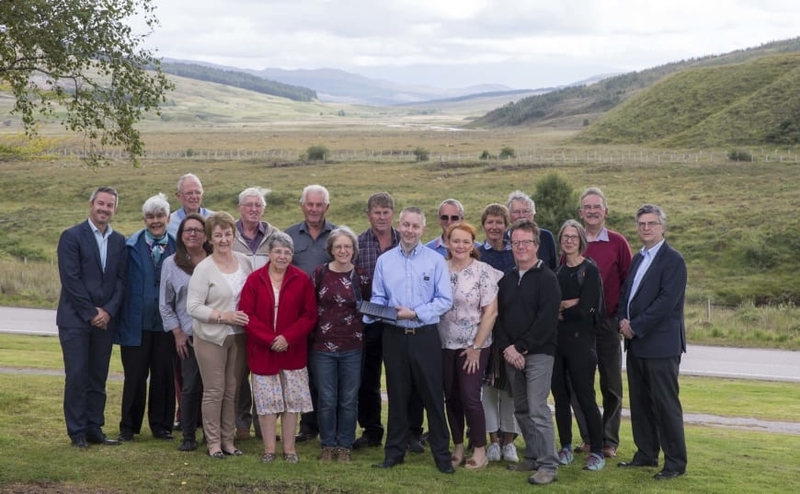 A Community Fibre Partnership is where we we work with a local group, or a person representing a community of any size, to find a solution to bring superfast or ultrafast broadband to an area. 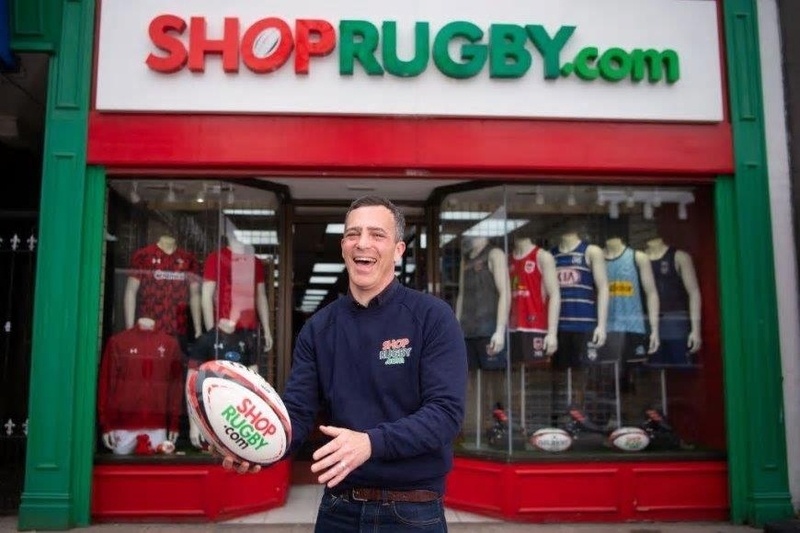 We cover the costs in line with our commercial model and the community clubs together to fund the costs on top of this, we refer to this as 'the gap'. The average time from contract signature to when we enable your new fibre infrastructure is approximately twelve months. This can depend on the complexity of the infrastructure that needs to be deployed, but we always aim for no longer than a year. This depends on the amount of infrastructure that needs to be deployed, so costs will differ from community to community. We'll evaluate everything for you once you've confirmed which premises in your community you'd like to get fibre for, and whether you'd like a full fibre solution all the way up to each property (FTTP) or if you've asked us to provide a new fibre cabinet (FTTC). We'll provide costings so you can decide from there if you'd like to proceed - you'll only be asked to cover costs above those of our commercial model and when you agree to proceed, you'll be asked to pay 50% of your costs prior to work starting - when you sign a contract - and the final 50% upon completion. Grants and voucher schemes are available to help cover your costs of getting fibre broadband, check here in case your community may be eligible. 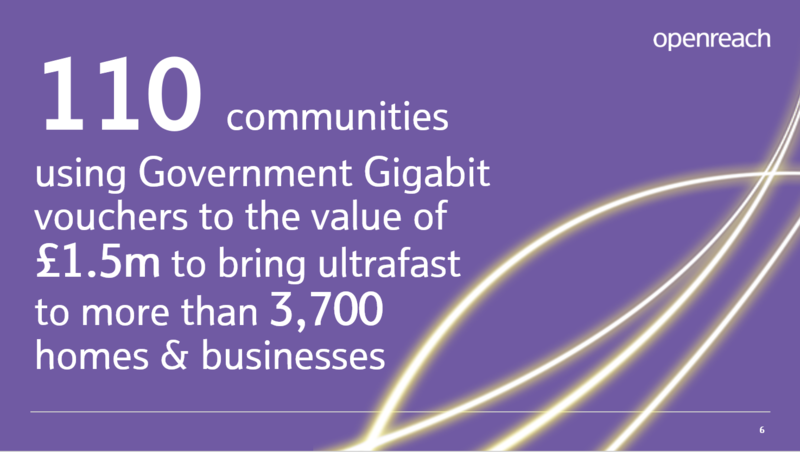 The Government's Nationwide Gigabit Broadband Voucher Scheme (GBVS) provides vouchers worth up to £3000 for a small or medium sized business or £500 to residents to help with the costs of connecting to full fibre broadband. 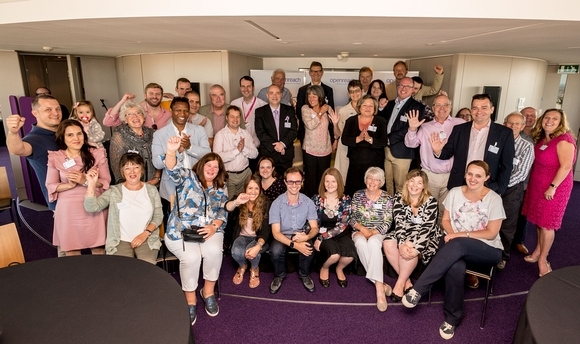 BT Group offers an exclusive grant that's available to communities whose co-funded fibre infrastructure serves a school or charity that has speeds of less than 30Mbps. A further list of FAQs about the BT Group grant scheme can be viewed here. Yes, we'll explain the different costs as part of our discussions with you. Different technologies require different amounts of infrastructure to be installed, also the level of network equipment and labour needed to provide the technology will also impact costs so the price will differ from community to community. Yes, Openreach provides access to its network to all service providers, on an equal basis. This means that wherever we deploy fibre, a whole range of different service providers can offer broadband, bringing plenty of choice to consumers and local businesses. For solutions using fibre to the cabinet, bandwidths will range up to 80Mbps. Final speeds are dependent on each property's distance from the fibre cabinet but you can typically expect a minimum of 24Mbps at a range of approx. 1200 metres from the cabinet. The nearer the property is to the cabinet, the greater the speed. Our provide fibre-to-the-premises (FTTP) infrastructure offers speeds of up to 330Mbps.